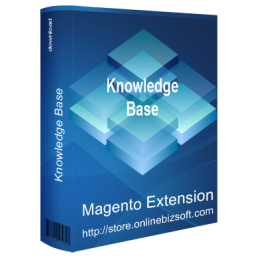 The Knowledge Base extension allows you to add dedicated knowledge system to your Magento store. The extension support various block as top articles,...... have ability to vote for each article. 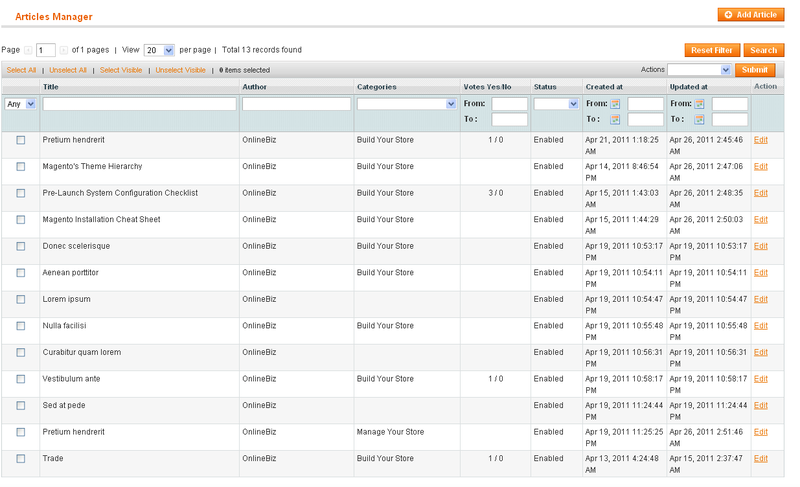 All the documentation created by store owner is displayed by means of articles assigned to admin-defined categories. 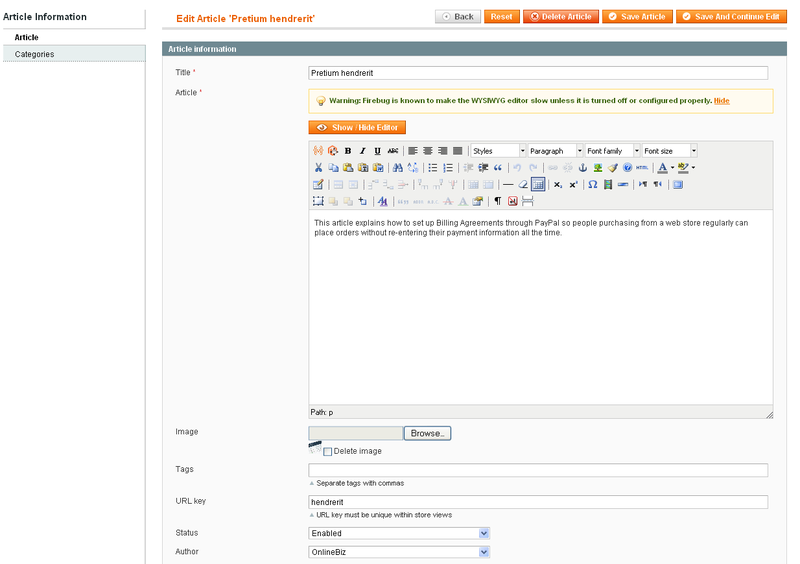 The process of documenting is intuitively understandable and uses familiar standard Magento interface. 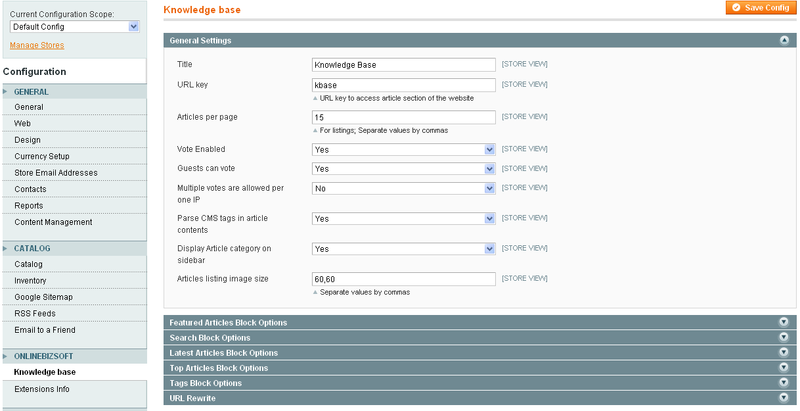 A rich set of the Knowledge Base Magento module settings makes the extension fully customizable – you can define articles listing type (short or full), limit article description length, manage articles rating, upload attachments for articles, etc. You are also able to specify the options of each block – Category, Top Articles, Latest Articles and Tags – by setting up their title, sort order and number of articles displayed.